Works of Azerbaijani and Swiss photographers will be showcased in Baku. 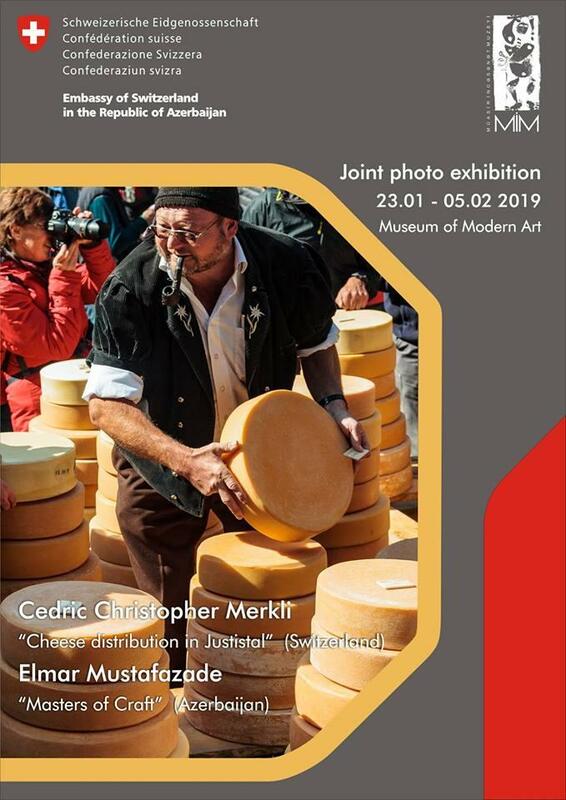 A joint photo exhibition of Mr. Cedric Christopher Merkli’s "Cheese distribution in Justistal" and Elmar Mustafazade’s "Masters of Craft" will open at the Modern Art Museum on January 23. The exhibition will be opened for visitors until February 5. The photos of Mr. Mustafayev present old and traditional craftsmanship in Azerbaijan. They are dedicated to the masters of handicraft art and promote the heritage of the ancient Azerbaijani art.